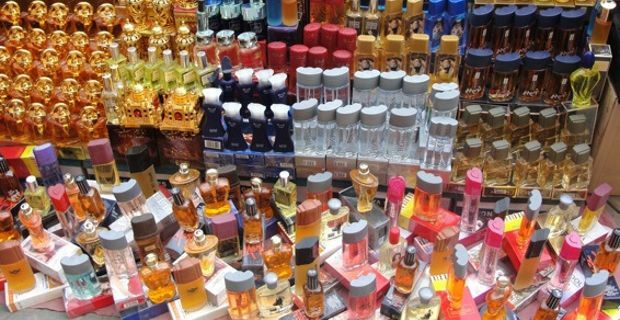 Counterfeiting is a huge problem worldwide: it has been calculated that around 10% of perfumes and toiletries on the market place are replicas. Find out how to detect fake perfume with these simple rules. Apart from the monetary value of the rip off, counterfeit perfumes often come with a health risk attached: they simply do not comply to widely accepted safety standards. The very fact that they can be produced for a cheaper price means the ingredients are not as good nor safe as those of the original product. Unless you have the original fragrance at hand, sometimes as a consumer it can impossible to detect a counterfeit fragrance or cologne. Especially with with the aid of modern advance in digital imaging and printing techniques, the fake perfumes can look identical to the original, in the same bottles and packages. However, by looking carefully to the packaging it is still possible to spot a counterfeit . First of all, and according to common sense: if the looks too good to be true, it probably isn't. Beware of people, not certified shops, reselling fragrances (often claiming they are 'unwanted gifts') on the internet. If you are buying in a shop, or as soon as you receive your order, carefully examine the packaging: cellophane should be wrapped firmly around the box – if it's not tight enough, it's a sure sign of counterfeit. Look at the box itself: any sign of excess glue or sticky tape is most like to reveal a fake perfume. Also, a clear sign of counterfeit is the box material itself being too thin and flimsy, low quality cardboard. Most importantly, a fake perfume can be detected by looking carefully and the print on the box: any uneven brand name or misspelling is a clear sign of counterfeit. Also, bar codes should be at the bottom of the box, NOT on its side.